Notions of objectivity and journalistic ethics are subject-matters I am passionate about. Because of the limitation of space, last week’s column didn’t capture the entire range of my thoughts on these issues. For instance, I didn’t point out that the broadcast media are guided by different legal and regulatory requirements from the print media because the broadcast spectrum is a public property held in trust for everyone by the government. In the coming weeks I will write a sequel to last week’s article in the interest of media literacy. Meanwhile enjoy a sample of the thoughts readers shared with me. A very insightful and enlightening piece as usual. Talking about journalism ethics, you explained that, "unlike ethics in law and medicine, they are entirely voluntary. They have no force of authority and can be flouted without any legal consequences." That may be so but ethics like ACCURACY, OBJECTIVITY AND FAIRNESS, are not exactly voluntary in broadcasting as they do have legal backing. Any broadcast station that flouts them can, as a matter of fact, be sanctioned. 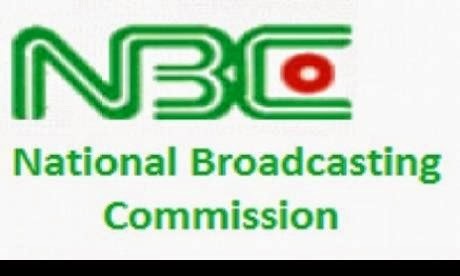 There are sections in the Nigeria Broadcasting Code that guarantee sanctions against any broadcast station that breaches the provisions on the three ethics given above, e.g. section 3.3.1. Which says, "Any information given in a programme, in whatever form, shall be presented accurately". Consider also the following sections: 3.3.2. "A broadcaster shall acknowledge his or her own inherent biases and prejudices, and transparently rise above subjective mindset". And 3.3.3. "All sides to any issue of public interest shall be equitably presented to ensure fairness and balance". See also 3.1.1. "All programmes shall adhere to the general principles of legality, decency and truthfulness, in addition to the specific guidelines for their genre". And 3.1.3. "The broadcaster shall recognize expression as an agent of society, therefore, he shall not use his medium for any personal or sectional rights, privileges and needs of his own, proprietor, relatives, friends or supporters". A breach of any of the above sections of the code will be regarded as an invitation to class 'B' sanction, which can be subject to a heavy fine, among others. There are also provisions for other ethics such as Integrity, Authenticity, Good Taste and Decency as well as Morality and Social Values. All these and more are treated in a whole chapter called General Programming Standard. Many thanks to you for your column today. Your write-up has proved my position on an argument with a friend that your writings are subjective. You don’t allow GEJ's mind to rest even after his failure at the polls and GMB’s success. I told him that you are an objective analyst and whenever GMB errs you will say it. I predicted your column today and asked him to check and get back to me. He just called 5 minutes ago and said yes my position is correct. I told him that Prof being a media child and Professor in the field, it will be an interesting topic to discuss. Thank you for this. Am smiling as I comment on this topic. I've garnered a lot from this article as a student of journalism. But, with due respect, I have my reservation about the issue of objectivity. I think the type of journalism where objectivity is lacking is not healthy for our system which is characterized by so much heterogeneity. Even if objectivity was never a part of journalism, now that it is, it has shown to be a utilitarian force in the stabilization of the polity. In a country like ours, objectivity is crucial to the survival of both journalism and the state. Return to roots, indeed. In this case, can't any action be taken against the media, AIT in this context? Can't, or shouldn't, GMB file a libel case, for instance? I really don't want them to go scot-free after all that they have done. I also condemned their "banning" but not in its entirety. And lest people don't know, or forget, GEJ repressed media especially on the eve of the general election. So many foreign journalists were silently denied visa to cover the March 28th elections, including the famous UK-based Guardian. 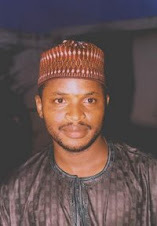 Worse still, Al Jazeera staff, Ahmed Idris and one Mustapha, were detained for several days, disallowing them to cover the elections, in Maiduguri. Why were almost all the critics of AIT's "ban" silent then? The truth is what is politically correct, most times is not necessarily right. If someone said that about me, I owe the duty to myself to run him out business. Whether by suing you or barring from me, there must be consequence. What I cannot tolerate, I would never expect of others to tolerate. If Buhari is to succeed, he can't afford to be perfect. This AIT matter calls for someone to be made example of. There's no such thing as perfect press freedom, I don't subscribe to it. In electronics, pure semi-conductor is a useless piece of material, but introduce some impurities in a controlled process known as doping, then you have transistor - which is responsible for all the exciting things we see in the world of electronics. The thing is, little imperfection makes things exciting.